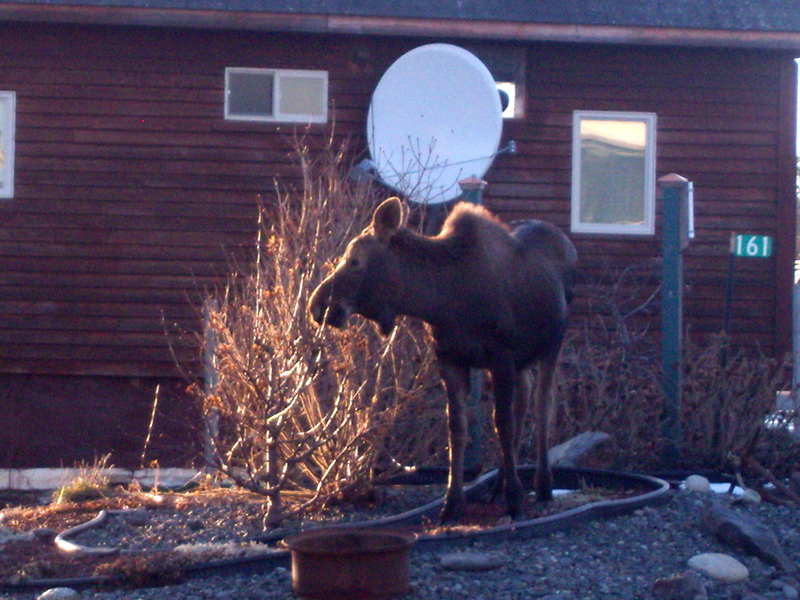 This evening we saw our first Alaskan Moose, munching on small trees across the street. Actually, that was the first wild animal we’ve seen in our neighborhood – other than the eagles. My husband said he was quite large. 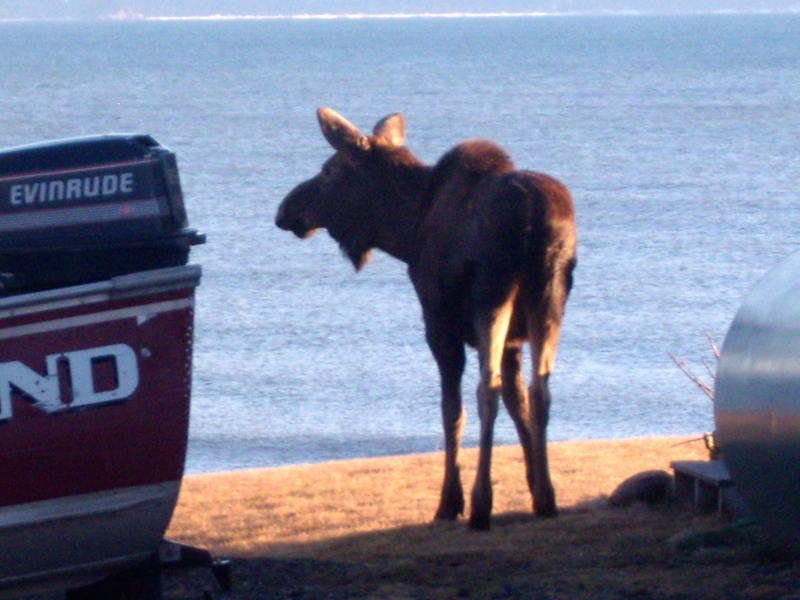 I do not believe I’ve ever seen a moose on a beach. Hmmm. Yes, but that’s what you see when you live across the street from a beach in Alaska. What an amazing sight. It’s such a thrill to see wild animals near houses.